You are here: Home / Blog / News / How Can Bad Weather Affect Your Car’s Shipment? 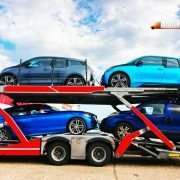 The auto shipping industry is ever-growing, with new innovations coming out at every now and then. However, regardless of how much organizations tend to do to improve their shipment details, there is no way through which they can counter the impact of bad weather. While having bad weather in itself can be a troublesome situation, what concerns car shipping companies, even more, is the long queue of disgruntled customers asking about the anticipated delivery time, and why their demands or prior delivery dates aren’t being met? Knowing that the reservation customers have been influenced more by their lack of information about the industry than anything else, we plan to list down some of the impacts of bad weather on car shipping. Go through this list and know your details, next time your shipment company tells you that bad weather has impacted the delivery process. The presence of bad weather conditions along the route will almost always cause delays in the delivery process. While some shipment companies are able to predict weather and give expected delivery dates based on that inference, no one can predict any climatic emergency that impacts the routine. While you can predict already established weather patterns, it is extremely difficult to tell when and where a series of clouds can form. The formation of clouds leads to storm-like conditions in water and on the roads as well. Even if the car shipping company is committed to telling their clients realistic delivery dates by keeping the weather in mind, they cannot predict sudden cloud formations that happen on a real-time basis. Because of these sudden formations, delays are bound to happen as the company might take the decision to call back the shipment, take a halt, or look for an alternative route. All of these decisions will lead to a sudden downtime of sorts, which will cause delays. Thus, when your shipment company tells you about extreme weather conditions on the way, you should expect delays on the way. While it is the utmost priority of any shipping company to protect your goods and car from all forms of damage, there is little they can do in the face of bad weather. There is a reason why cars being shipped through the waters tend to suffer from occasional damage. This is because the rough waves and the weather can cause one jolt too much for the car to bear. The most you can pray for, there is limited damage. Oftentimes car comes scot-free out of bad weather conditions on the waters, so you can expect that outcome as well. In the worst case scenario, bad weather can force ships carrying extensive containers to lose some of its load. 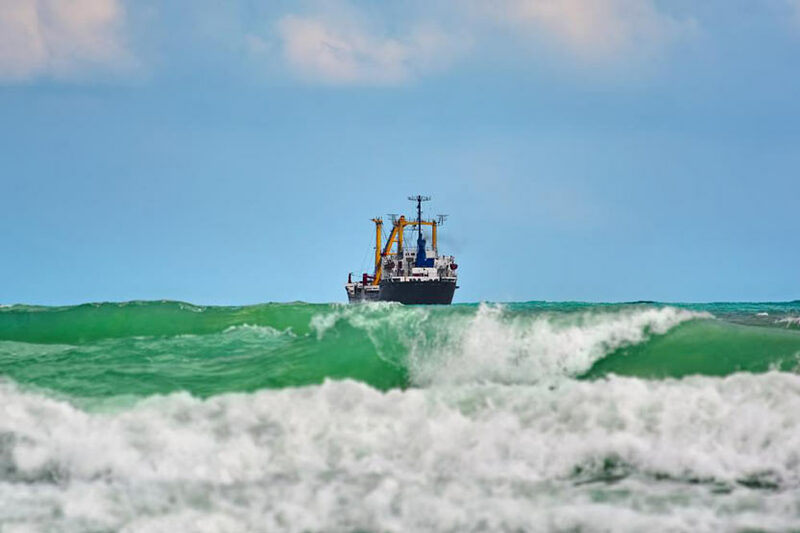 The term, which originates from traditional shipping lingo, is meant to signify the containers that are lost by a ship because of poor weather conditions at sea. These accidents might not sound common to the general public, but do happen. Just recently a cargo ship lost around 270 containers from the total load present inside of it. The load was disseminated in the patch of water near the Netherlands, as the load washed into the nearest Island. Residents of the Island reported founding IKEA furniture, flat screen TVs and many other electronics among the load that was washed to the shores. So, if the weather conditions do go extreme, cargo ships might also lose some of their load in the process. This is, however, an extreme situation and isn’t the most common. 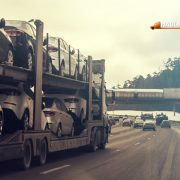 A major part of the car shipping process is the journey of the freight from the port to the destination it has to go. While the journey on the sea was itself perilous, the journey on land is even more so. Trucks, transport auto vehicles in the land are extremely sensitive to adverse weather and road conditions. Driving an 18 wheeler that weighs over 4 tons, on a snow-filled road, isn’t the easiest thing to do. With poor traction, poor road conditions and poor visibility the complexity of the whole situation is amplified to a whole different level. 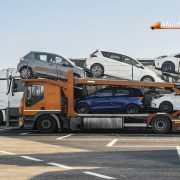 So, the truck carrying your car will have to take multiple stops at multiple locations to ensure that such adverse conditions aren’t encountered, and that the shipment is delivered safely to you, regardless of the time that it takes. With this information with you, you can be more accepting towards shipment companies when they say bad weather along a particular stretch of the journey has caused a delay. 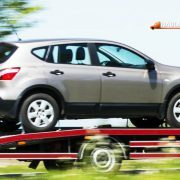 If you want a safe and secure way to transport your car, HaulMatch is here to help. 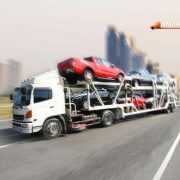 We provide the most accurate shipping quotes and can ship your car anywhere in the United States or International. Just give us a call and leave your transportation needs to us.